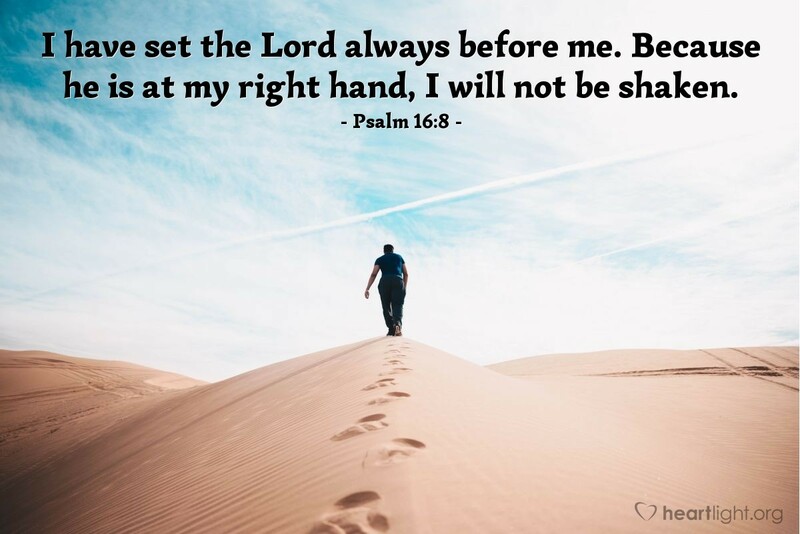 There are many things that can trouble our lives, but none that can shake us loose from the grip of God's grace if our hearts remain pointed at Jesus as our Lord and our hope remains focused on the Lord's return. If Jesus is our Lord, then all of life's greatest blessings lie ahead of us and he will let nothing rob us of this coming glory! Holy Lord, you are worthy of majesty, honor, and praise. I lift up your name, O God, and place it above every name. As I look to the future, I want to honor you and I want to journey with you there. Since I believe you will never leave or forsake me, I will always look ahead to find you leading the way. Through Jesus I pray. Amen.